A large and muscular dog, the Rhodesian Ridgeback was not only developed as hunter but also as a family protector. The breed can be light wheaten to red wheaten and are sleek and glossy in appearance. Originally bred to hunt lions the breed is also known as the African Lion Hound. A native of South Africa, the Rhodesian Ridgeback was bred by the Boer farmers to fill their specific need for a serviceable hunting dog in the wilds. In 1877 Reverend Helm introduced two Ridgebacks into Rhodesia where big game hunters found them outstanding in the sport of hunting lions on horseback. They raised and bred these dogs with an appreciation for their exceptional hunting qualities, the ridge on their back becoming a unique trademark. In 1950 outstanding specimens were imported to the United States and the breed was admitted to registration by the AKC in 1955. Due to their short coats Ridgebacks shed very little and require only weekly brushing and occasional baths. The breed is also athletic, requiring regular exercise. Trustworthy with children, they are “people” dogs and like to be where you are, possibly curled up on the couch if permitted. Hound Group; AKC recognized in 1955. Ranging in size from 24 to 27 inches tall at the shoulder and 70 to 85 pounds. 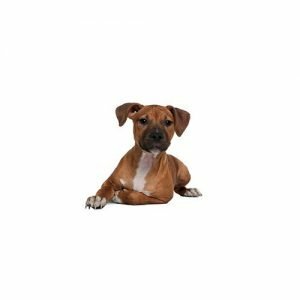 Are you interested in purchasing a Rhodesian Ridgeback?